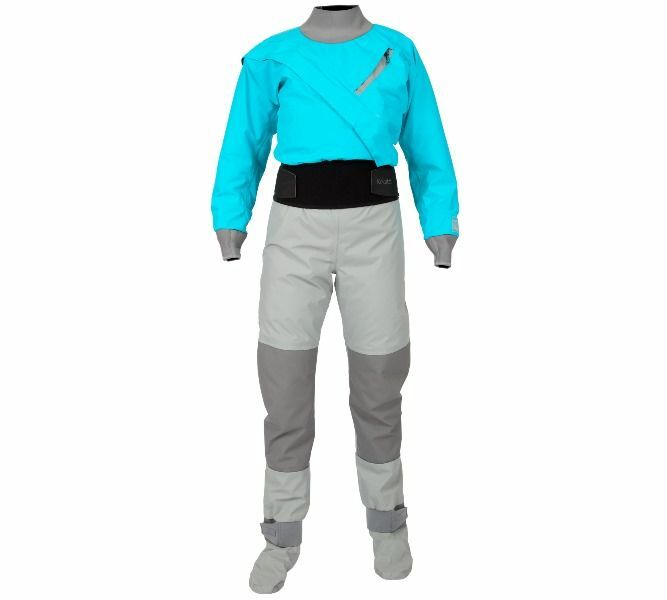 Kokatat's front entry GORE-TEX ® Meridian with Drop Seat is one of the best Drysuits available on the market consistantly getting excellent user reviews for performance and durability. Kokatat's highly regarded GORE-TEX® Meridian Dry Suit is the definitive whitewater and sea kayaking dry suit. Made with 3.21oz Evolution GORE-TEX® Pro Shell 3-layer fabric and Cordura® seat and knee reinforcement panels for supreme durability. The Meridian features full women's patterning, an adjustable overskirt, GORE-TEX® socks, rear dropseat, zippered chest pocket, latex gaskets, and neoprene punch through over cuffs. For 2018 breathability and durability have been enhanced with integrated GORE-TEX® Cordura® panels in high abrasion areas. New colour blocking for an updated look and feel. 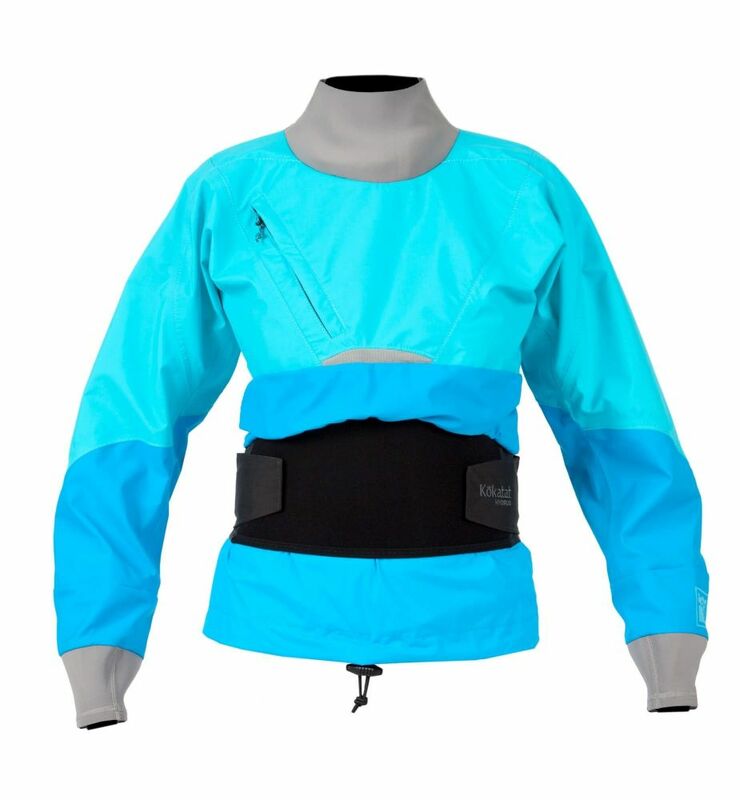 A completely water tight nylon zipper reduces weight and increases comfort significantly. A limited lifetime warranty and Kokatat's custom sizing and option program ensures completely dry comfort for the life of the garment. Kokatat provide excellent after sales service with a full pressure testing and non warranty repair service available in the UK making this a great long term investment.